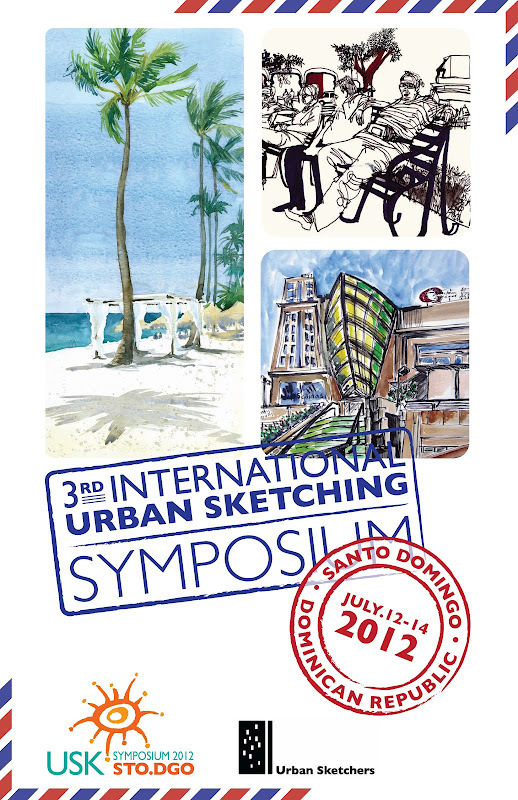 Returning to the present and looking toward the future, I want to alert everyone to the Third International Urban Sketching Symposium, which is being held this year in the Dominican capital of Santo Domingo, July 12–14. In addition to panels and lectures, there will be a series of sketching workshops centered in and around Santo Domingo’s Colonial District, within walking distance of many of the scenic city’s landmarks. I’ve always these enjoyed these gatherings. It’s a great way to see new places with fresh eyes and to share the experience with fellow urban sketchers from around the world. For more information, visit <http://sdq2012.urbansketchers.org>. This entry was posted in Drawing, Urban Sketchers, Workshops by FC_admin. Bookmark the permalink.